The 10-year-old girl from Maddington, a suburb of Perth WA, was found safe and well the NEXT DAY after last being seen “getting the school bus” on Monday 11 June 2018 at 3pm, as reported by the Daily Mail. The child, reportedly dressed in her school uniform, had been missing for 18 hours. The search for the child was described as “frantic” and police appealed to the public for information. 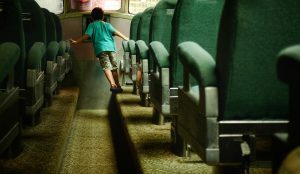 Although the reason for the child’s disappearance and her whereabouts between the last sighting and safe return were among the details not publicised, the circumstances of the situation highlight the need for safe real-time monitoring of school children on bus transport, according to the managing director of the Australian technology company, RollCall. Mr Langenberg said the report of the incident at Maddington, and the ensuing investigative activities, would have been very different if the child’s school, and the bus company, used RollCall to manage duty-of-care for children coming and going on school buses. “With RollCall, if this child had been meant to board a particular bus at 3pm that afternoon and didn’t actually get on the bus, everyone would have been alerted – the school, bus driver, bus company, the child’s parents or caregiver,” Mr Langenberg said.